The NFL competition committee may be in favor of expanding replay reviews to add pass interference calls, but at least one team will not support that potential rule change. 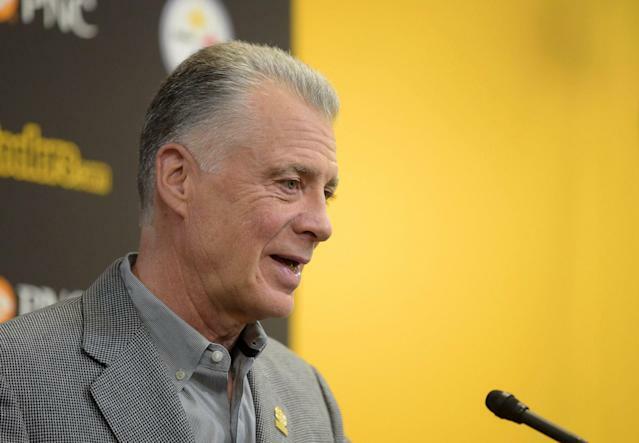 In speaking to the media on Friday, Steelers owner Art Rooney II came out firmly against the idea because he felt that the length of games were more important than getting calls correct. Rooney’s concern about the length of the games is certainly an important one, as NFL games averaged 3 hours and 12 minutes last season. That’s actually eight minutes longer than the average baseball game, despite the nation’s pastime getting a reputation for having too lengthy of games. Still, various rule changes that tighten up the length of replay or time after scores have shortened the length of games, and many fans prefer prioritizing getting the correct calls in the biggest moments over fitting games in under three hours. The idea of allowing teams to challenge no-calls on pass interference has become such a hotly debated subject because of a controversial play in the NFC Championship Game. On a key fourth quarter play, Los Angeles Rams cornerback Nickell Robey-Coleman tackled New Orleans Saints wide receiver Tommylee Lewis but was not penalized. The play effectively cost the Saints the game, leaving their fans furious. NFL owners will vote on 16 potential rule changes at their meetings next week, ranging from expanding defenseless players’ protections to automatic reviews on goal line plays, and Rooney did tip his hand on a few others. Rooney is in favor of the Kansas City Chiefs’ proposal to allow both teams to have a possession in overtime, although he was not in favor of adding an eighth official to the field. The Denver Broncos also proposed a creative alternative to onside kicks that would give teams the ability to get the ball back on their own 35-yard line but start on fourth and 15. Rooney said he prefers the rule to stay "similar to what we have now."